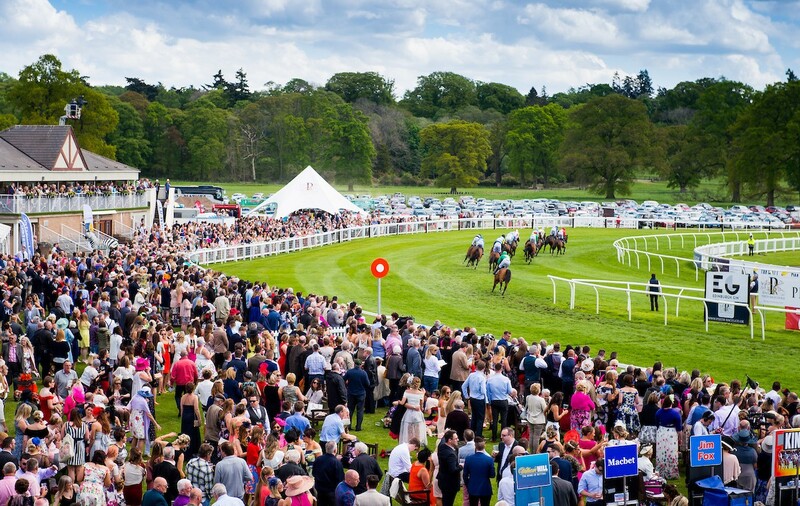 Perth Racecourse boasts beautiful Scottish countryside with good Scottish food to match. On course there are two restaurants which you can book. The Tay Bistro offers delicious and hearty family dining with a seasonal 3-course menu featuring a mouth-watering carvery station. Or if you prefer a more formal setting whilst dressed up to the nines, the Galileo Restaurant is the perfect choice. It is advised to book up quick as the restaurants are very popular! 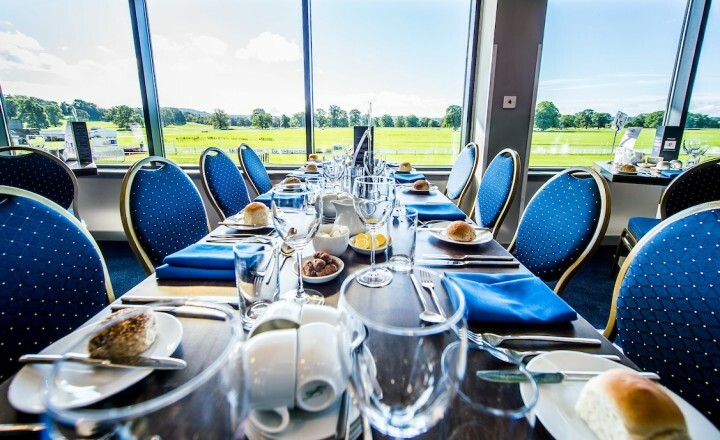 The Tay Bistro, (formerly known as The Club Restaurant) is a favourite choice of Perth Racecourse regulars, offering hearty and delicious food, friendly service in a relaxed atmosphere. You can enjoy a day in The Tay Bistro at all race meetings, serving a choice menu of mouth-watering Scottish favourites. From classic starters, delicious roast of the day and indulgent puddings. 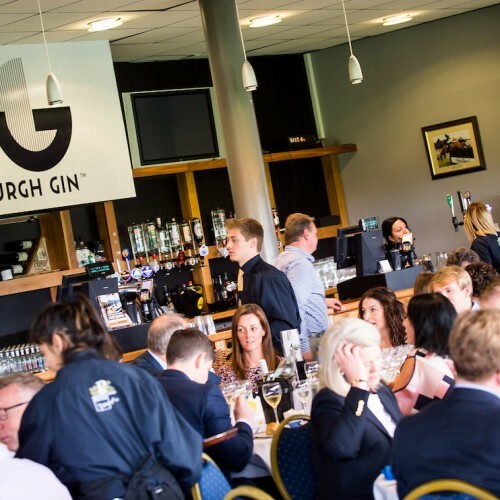 Located next to the Parade Ring on the ground floor of the Club Stand, you will find yourself in the heart of the action. Please note The Tay Bistro is not a viewing restaurant but the finishing line is just around the corner and there is both an indoor betting service and bookmakers just outside. Your table is yours to enjoy throughout the afternoon with bar service available all day and televisions to view racing. Please note space in The Tay Bistro must be pre-booked. 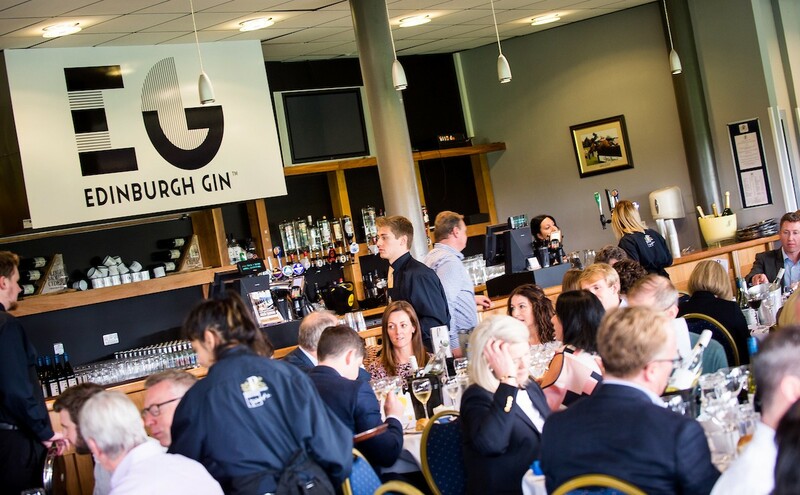 Located on the top floor of our Nelson Stand, The Galileo Restaurant is our flagship eatery at Perth Racecourse. The suite has panoramic views of the racecourse. This creates an electric atmosphere while the races are on and the close proximity means direct access to the grandstand, the betting ring and that all-important finishing line. The food in the Galileo Restaurant is produced with great care and attention by our team of top chefs and wherever possible they source Perthshire and Scottish ingredients to create their mouthwatering menus and afternoon treats. Our front of house team will be delighted to look after you and are all on hand to ensure you have everything you need to make your day at the races smooth, fun and enjoyable. They will serve you drinks, coffees and teas all day and can also assist you in using the exclusive Galileo Tote. We are extremely proud of the superb quality and unrivalled service we offer throughout our restaurants and look forward to welcoming you to join us soon. 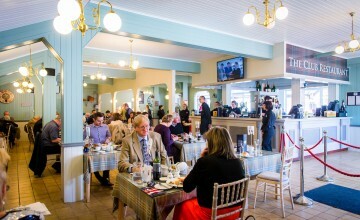 The Galileo Restaurant is used exclusively for hospitality guests on raceday.